As a student of Ted Moores' WoodenBoat School class, David Racicot worked on this strip-built Freedom 17 canoe, designed by Steve Killing. David took it home and launched it in September 2002 at Suffolk, VA. He used cedar strip with ash inwales and thwarts, cherry outwales, curly maple decks with a mahogany accent. 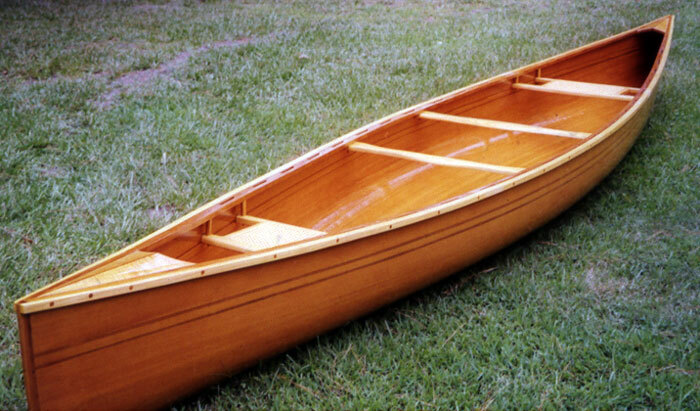 David reports that the canoe is lightweight, fast, and a joy to paddle on Chesapeake Bay.